I think Sundance organizers somewhat misgauged how quickly festival audiences would be able to understand what “Indie Episodic” means and how to parse/break out the different programs. It’s one thing to just call short films “Shorts” and program them in amorphous-sounding, numbered program blobs, because “Shorts” is self-defining and they’re a festival institution. I’ve had some fun trying to guess the intended theme of each Indie Episodic program, but I think there were ways to make it clear that Indie Episodic Program 4, for example, was Midnight Indie Episodic and premiering it midafternoon didn’t help with that. The Indie Episodic Program 3 is focused on beloved genres with an indie twist, except that you’d have to read deep into the guide to know that. Mr InBetween is a hitman comedy and High & Mightyis a superhero comedy. It doesn’t get much more accessible than that. Mr InBetween was made for Australian TV and was directed by Nash Edgerton, brother of Joel and one of the festival’s most prolific short-film auteurs of recent years. Here, he’s directing creator-star Scott Ryan in what apparently is an adaptation of a cult film Ryan made over a decade ago. Ryan plays Ray, a hitman whose other activities include raising a precocious, swearing-averse daughter (Chika Yasumura) and handling a dysfunctional assortment of family and friends. He’s also tentatively beginning a romance with EMT Ally (Brooke Satchwell). Ryan, who has done barely any acting, has written himself a part that plays perfectly to his strengths. He’s got a great deadpan sense of humor, a badass, cold-eyed stare, and any limitations he has are mostly covered by his character’s laconic approach to emotion. The father-daughter dynamic is particularly winning and part of me wished Mr InBetween didn’t treat that part of Ray’s life as a one-scene-per-episode treat. I found the Ray-Ally scenes a lot less engaging. However, I strongly recommend American casting directors give Satchwell the chance to see if she can do a generic American accent in a pilot or two. In his shorts, Edgerton has already proven himself extremely gifted at blending fairly extreme violence with humor, and that carries over here. Especially in the third of three half-hour episodes screened at Sundance, Edgerton wrings laughs out of very dark situations without jeopardizing the gravity of Ray’s job or his apparent anger management issues. 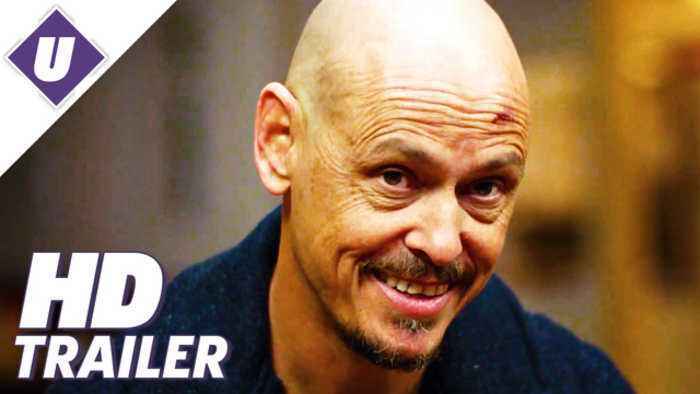 I’d watch more episodes of Mr InBetween if only in hopes of getting an answer to my biggest question: Why is there no period after “Mr” in the title? Is it an Aussie punctuation thing? I have more questions regarding High & Mighty, which hails from Warner Bros. Digital Networks’ Stage 13 and was created by Cesar Mazariegos. Oddly, even though the series is composed of short episodes — between 12 and 16 minutes — the three chapters screened have a real lack of storytelling urgency. On one hand, that’s completely appropriate for a series about low-motivation stoners and drunks, but it’s definitely not the typical approach for digital series of this sort, which tend to burn through plot at an absurd pace. After around the time allotted for a broadcast drama, I have a sense that Jorge Diaz’s Chelo has superpowers that either come from his enjoyment of weed or his reliance on medical testing for income or probably both, but it’s taking its time teasing out the details. That allows us to spend a lot of time getting to know Chelo, a mistake-prone burnout with good intentions, and to witness Diaz’s easy, likable goofiness. Diaz sets the tone for the entirety of High & Mighty and, as a result, the series is goofy and amusing and, through three episodes, has yet to exhibit whatever that next level is, though a spirited “testing my new powers” montage in the second episode comes close. I like Chelsea Rendon as Chelo’s sister, whose gift at making weapons in high school wood shop should be helpful in the future, and casting James Eckhouse as a still-mysterious scientist is always going to appeal to my Beverly Hills 90210-loving heart. Director Carlos Lopez Estrada makes good use of East L.A. locations, and I’m always a sucker for outsider voices appropriating genre tropes, and I’m perfectly happy to accept “What if Cheech & Chong got superpowers?” as a still-progressive twist.